Fernando Domínguez Cózar is a creative director, title designer, and musician based in Valencia, Spain. 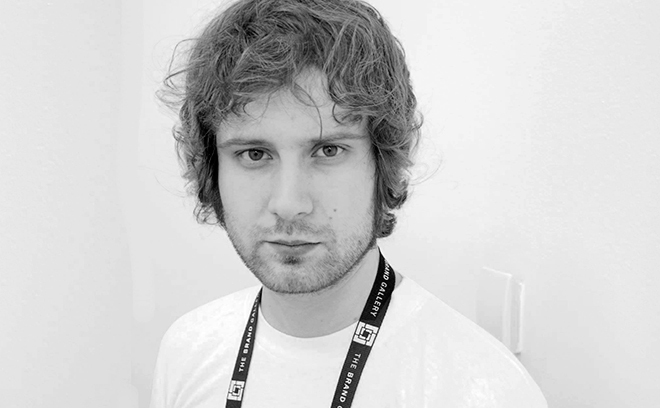 Since graduating from university in 2005, Fernando has pursued a career as a title designer and art director. At Prologue in LA he contributed to the opening title sequences of Spiderman 3 and The Reaping. In 2007 he co-founded studio Dvein where for seven years he directed title sequences, TV commercials, music videos, and experimental works. During this period he co-directed the music video for the song "Magma" by The Vein. He has also created the opening titles for the films Eva (2011), which won top honours in the Titles & Openers category at the 2012 Australian Animation and Effects Awards Festival, and Toro (2016).